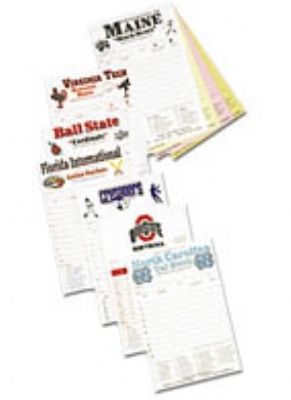 Each baseball and softball lineup card set is COMPLETELY CUSTOMIZED to your particular specifications and printed on 4-part carbonless paper. Use the extra 3 copies for the umpire, your opponent, the announcer or official scorer, yourself, etc. Additional pages per set are also available by special request. 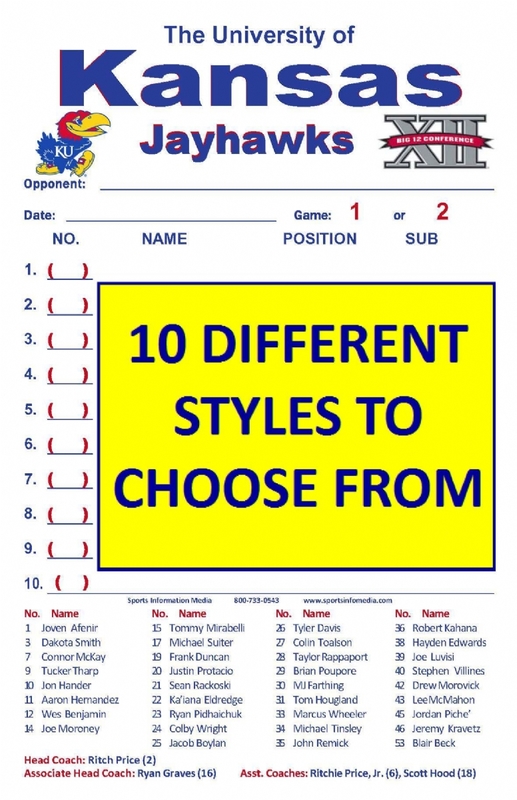 Any lineup card can be customized with the inclusion of your roster and/or coaches at NO EXTRA CHARGE. You can attach your roster to your order below or email it to us at rosters@sports343.com.